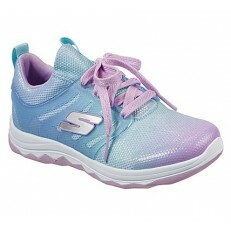 Skechers Kids Performance Lightweight performance trainer Mesh upper with neon pink and blue styling. 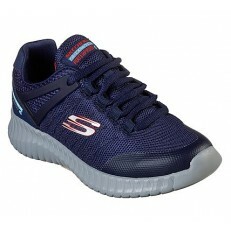 With Skechers logo Single velcro fastening with elastic styled laces for support Lightweight flexible sole for comfort. 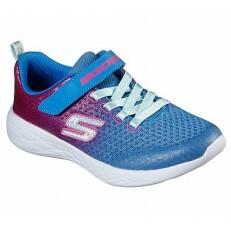 ..
Skechers with Air-Cooled Memory Foam Provides breathability, cushion and all-day comfort Absorbs impact Contours to most foot shapes Perforated dual-lite footbed for increased breathability ..
Skechers with Air-Cooled Memory Foam Provides breathability, cushion and all day comfort Absorbs impact Contours tp most foot shapes Perforated dual-lite footbed for increased breathability ..
Skechers with memory foam Ultra soft cushion insole Lightweight and flexible Durable desgin Velcro enclosure for adjustment and support ..
Skechers Air-Cooled Memory Foam Waterproof Provides the perfect balance of comfort and support Lace up fastening for maxium adjustability and support Lightweight grey sole Navy uppers with Skechers logo ..
Energy Lights By Skechers Trainer style boot with lace fastening. 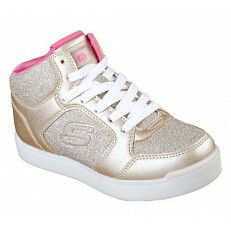 Sole has seven colours and four light shows. 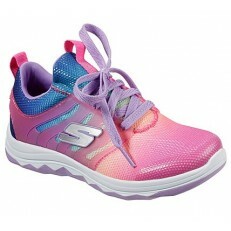 Press the button on the tougue of the shoe to click through colours and light shows. Your energy lights should enjoy continuous lighting for 5-6 hours on full charge. To charge ..